Waxes and oils have been a popular item for younger generations these past couple years but dry herb is still a dominating trend amongst multiple age groups. 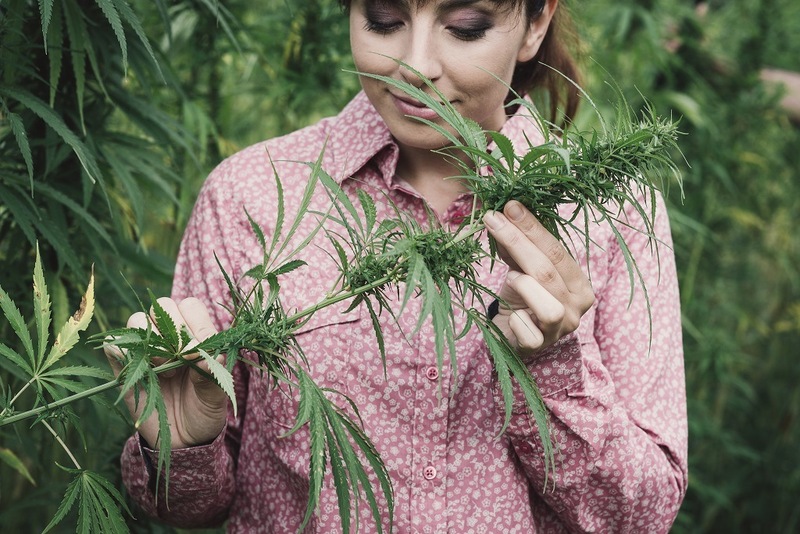 As the pastime becomes medically and recreationally available in more and more states, the prospect of growing and drying your own yield is more than realistic. If you are interested in growing and processing your own cannabis plant, or need more tips for a project you’ve already started, you may be able to utilize this article’s information. Why is Drying and Curing Cannabis Buds Necessary? Cannabis that has not dried too efficiently, or uncured bud, does not burn as efficiently as other properly processed batches. It also helps to preserve your marijuana for much longer and help you avoid moldy weed. If cured properly, it can be stored in a dry environment with an air-tight container for long periods of time without worry. Drying it also emphasizes its aromatic attributes. Other than improving the smell, drying cannabis helps rid the nug of any nutrients and sugars that can make the taste nasty. By drying it, the flavor improves and you can truly appreciate the qualities of varying strains. The D.I.Y factor of curing your own cannabis can help protect you from any potential fraud as well. With the industry being so lucrative, the possibility of fake producers and laced weed are an inevitable part of the deal. By moving through the process, yourself, you help to avoid any of these risks or issues, and have a lot of control over the quality of your yield. The production of smoke-able bud is a lot more intensive than the culture leads on to be. It is a long and detailed process. Before beginning this kind of project, make sure that you have procured room to carry out these operations as well as all the needed tools. Recently cut cannabis. We recommend drying your bud in open air before beginning this process. Space outside and inside that hopefully meet the optimal environment for drying (70°F with 50% humidity). Cut down the part of your cannabis yield that is ready. Many seasoned harvesters choose to take them in bundles to make the drying process easier. After you have cut down the plant, you will start trimming cannabis bundles. 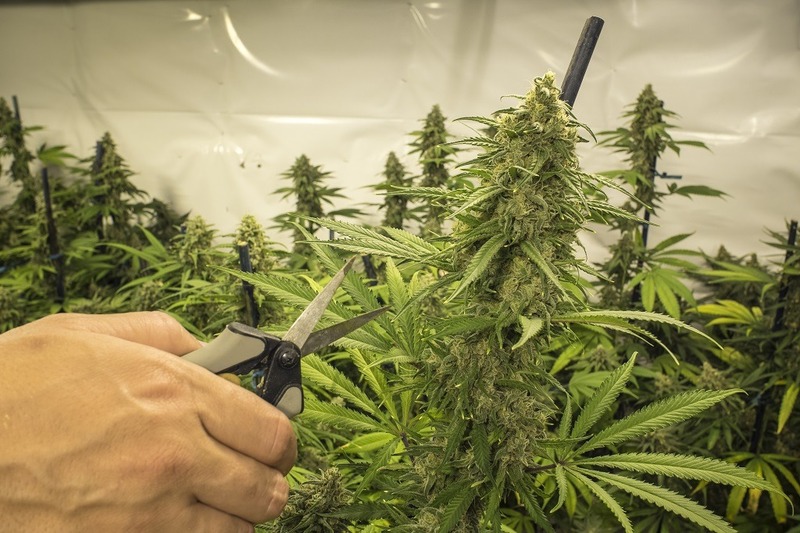 Experts in this process recommend using very sharp scissors and pulling them all up and away from the bud to cut down on time and produce an aesthetically pleasing nugget. Trimming cannabis is more of an art than it is credited for, be sure to keep a gentle hand and keen eye while moving through this process. If you’re very new to this process, watching a close video of the process may help. After cutting away the extra leaves, you are ready to start drying cannabis. You can hang the bundles of marijuana from rope or clips in open air, or you can cut the weed stems and lay the buds out to air dry. It may not merit a whole step, but a lot of people rush this so I feel it’s important to emphasize. The next few days is a waiting game. You will need to let them rest in the air for about 3 to 10 days. Check on their texture daily to keep up. The buds should be placed into glass jars are this juncture. Outside areas are recommended if they are dry enough. Then it’s another waiting game. Open daily for about 1-3 weeks and document texture and feel. Take the bud out, grind and use! Keep in mind that if the buds feel wet, put them outside in a jar for around 12-24 hours. If they’re only a little moist, it is recommended to leave the lids off the jar for around 4 hours. If their perfectly dry but still firm, that is the perfect cure zone. If you go past this, it may take a bit more TLC to optimize the smoking experience. Air drying is not the only way to go about curing cannabis. Water curing is another variation with its own benefits. The steps begin the same way, by trimming the cannabis and removing fan leaves. With air drying, you depend on the plant to process or “digest” its extra sugars and nutrients. But during water curing, you rely on the water to dissolve these items. Water curing is a faster process so it’s recommended for those in a rush. Jars work best for this hydroponic weed process too. Since resin glands and THC both do not dissolve in water, you can simply put your fresh bud into a glass jar with pure water, seal it, and change it out every 3-5 days. After it has done its time, strain the water and dry the bud in the usual fashion. This now shortens the drying process down from 10-18 days to a more reasonable 5 to 8. Water curing is known to develop and enhance the smell and taste of the cannabis. People that have been working on perfecting this method have even created jars and setups that allow fresh water to filtrate into the jars constantly. This allows nutrition to be absorbed more rapidly and guarantees fresh water always. Some have even reported completing their curing process even quicker, timing at around 8 to 10 hours. How is the Curing Process Related to Flavor? The curing process is incredibly important to create good tasting bud. Normally marijuana is vaped, rolled or smoked in a pipe or bowl. Taste is important here because nobody wants to inhale nasty, moldy weed or something that tastes bland. Both air and water curing processes help to facilitate strong, fresh flavor in the plant. Different flavors are most commonly achieved by including preserved, cured or dried fruit rinds and skins in the curing process. Most professionals recommend drying your own fruit rinds and putting them in potpourri type bags and insert it into the jar during the curing. They also suggest not letting the fruit touch the marijuana, but rather tying a piece the bag to extend to the lip of the jar, that way you can hang the small bag above the bud. Pro tips include opening the jar daily to let refresh the environment. Some let their marijuana flavor and cure for over 50 days. If you are playing a more long-term game, it is also recommended to change out those fruit pouches every 10 days or so. The flavors don’t always have to be sweet either, some advanced chefs in legalized states have been curing their bud with garlic to be used in savory edible cuisine. 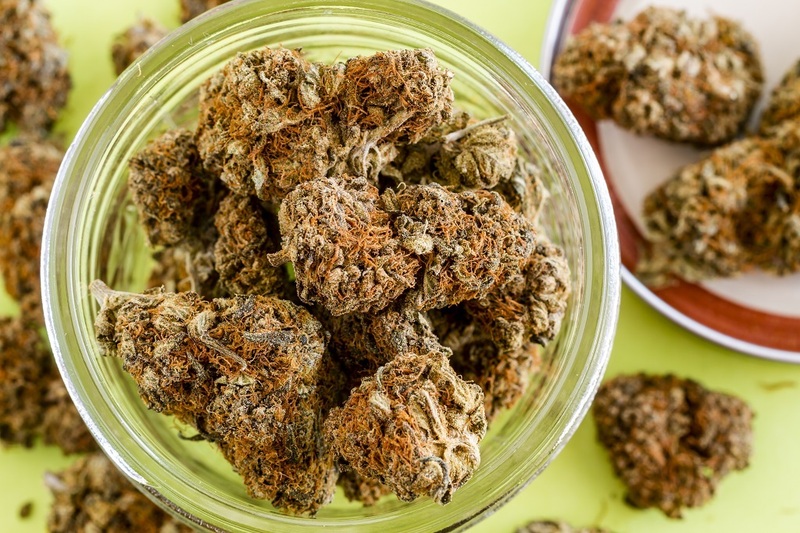 Marijuana culture is dynamic and full of nuances, technique, and lingo; especially regarding the drying and curing process. Here are some common questions associated with the tasks. How can I Germinate Weed Seeds on my Own? Growing normal plants is hard enough. Learning how to germinate weed seeds is a whole other can of worms that can be difficult to get right. One of the best methods to use is reminiscent of kindergarten activities. Rip off 4 sheets of paper towel and soak them in distilled water. Please thoroughly wet the sheets, but do not over soak them. There should be no extra water running off. Take 2 of these towels and put them on a plate. Place as many cannabis seeds as you can fit and place them a generous inch apart from each other. Then cover them with the other 2 paper towels. Create an encouraging dark space for them to grow by flipping over the second plate to cover the first, sort of like the shape of a dome. This seed factory should be placed in an area that reaches temperatures between 70 – 90°F. Be sure to check on your seeds daily and keep an eye out for the split. Once the split appears, a sprout is sure to follow! Then transplant them into a grow tent, greenhouse or another hydroponic weed box for cultivation. What does it Mean to Decarb your Weed? When you decarb your weed, it’s sort of a fancy way of explaining the heating process it goes through to release THC while vaporizing, smoking or cooking it. Learning how to decarb your weed is easy. If you’re looking to roll up or smoke a bowl, you just need a bit of properly cured and ground nug. If you are trying to experiment with edibles, you can decarb your bud by using butter or oil as a medium while you heat your ground nug in a pan. Marijuana farming can get expensive. 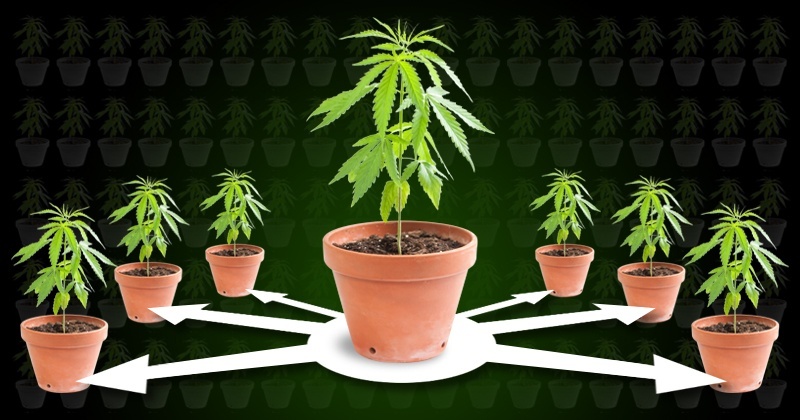 If you want to make your money go even further, you may want to consider cloning cannabis. Instead of having to go through cross plant breeding to get more seeds, you can also take root cuttings and go from there. Not only is is more cost effective, but many farmers have noted that doing this can help you attain stability in your garden. This can be a more cumbersome process since these roots are sometimes sensitive. You will need a rooting hormone and medium to get this right. While you’re searching for clone candidates, be sure that they are healthy plants that are 2 months minimum in the vegetative cycle. These roots will do better since they are more mature. Since these steps are more sensitive, we recommend watching a video to become more familiar. What if I Go Over the Optimal Curing Time? If you are new to the curing process, you may accidentally find yourself face to face with some very brittle weed. If you’ve reached the point where your bud is categorically brittle, you have two choices. You can either leave it alone and accept the texture, or you can attempt to rehydrate with a Humidipak. We recommend the Boveda 62-Percent RH 2-Way Humidity Control pack. They have hyperfiltration membranes that help to balance out what’s going on. You should harvest your crop when about 60-70% of the hairs have darkened as this will produce the highest levels of THC. Using a jewelers loop for close inspection can help you determine the harvesting time with more ease. Photos from: OpenRangeStock / depositphotos.com, TeriVirbickis / depositphotos.com, stokkete / depositphotos.com.